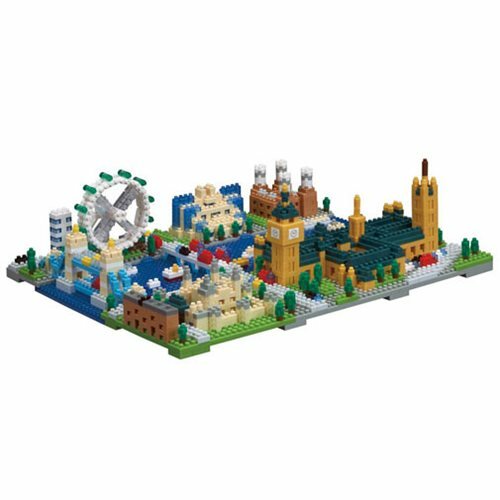 With the help of micro-sized building blocks, you can experience the glory, grandeur, and brilliance of London, one piece at a time! The London Nanoblock Figure uses over 1630 pieces to recreate this historic landmark, all with amazing detail you never knew blocks could provide! It sounds daunting, but as soon as you start building, you'll see it's fascinating fun. Unleash the power of your brain and your fingertips as you bring history to life with the London Nanoblock Figure! Ages 8 and up.